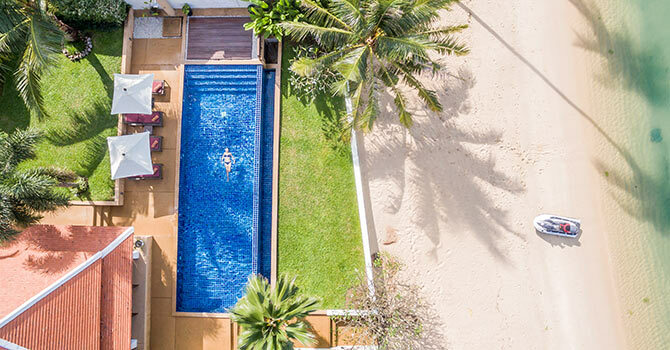 Bacaya villa is a 3 bedroom stylish beachfront getaway on one of the most beautiful beaches in Koh Samui. 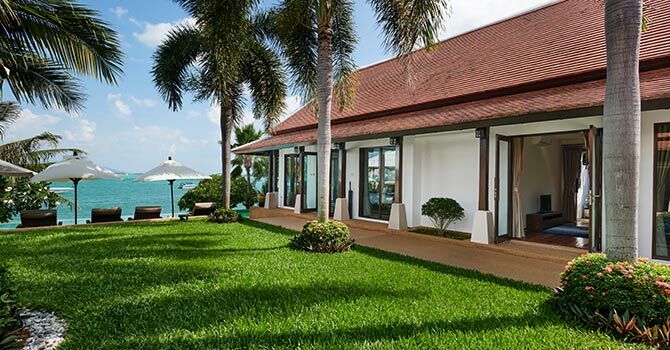 This stunning property boasts a swimming pool on the beach edge with the Gulf of Thailand infront. Step one foot in the sand and one foot in the sea while you enjoy time well spent. 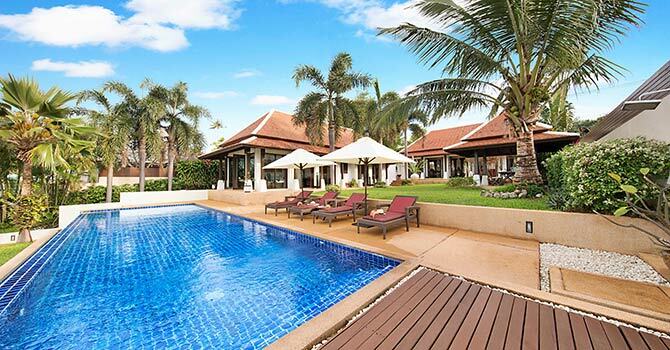 This stylish villa is perfect for a gropus of friends or families. Minimalist solid wood furniture and high, airy ceilings pair delightfully with the surrounding jungle flowers and palms to create the perfect island paradise. Elegantly simple, the open-plan living/dining area and kitchen offer the modern amenities that make this villa perfect for relaxing comfortably under the stars. 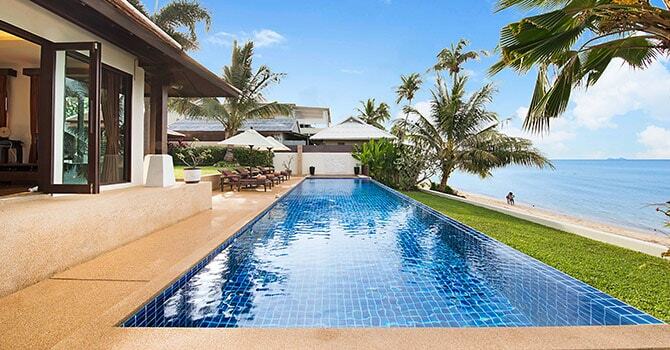 The villa is located on one of Koh Samui’s most beautiful beaches, Bangrak Beach. 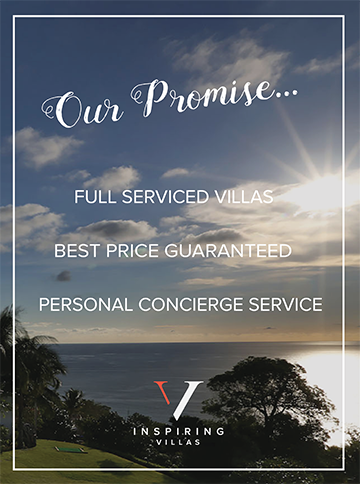 Various attractions are within close proximity of the villa, including the Big Buddha, Fisherman’s Village, Samui Golf Club and Bophut Beach, which are all less than ten minutes away by car. 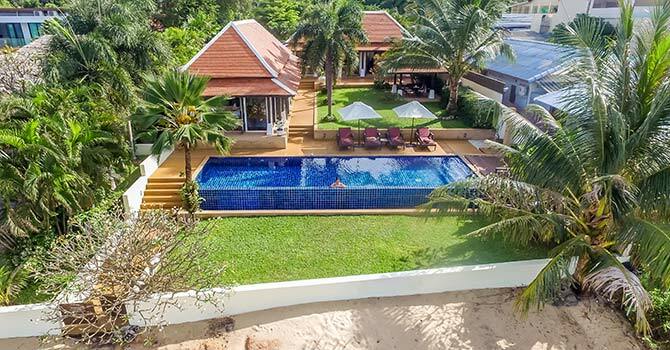 - 7 nights over Xmas or New Year and 10 nights over both holidays, 5 nights for Chinese New Year, Easter and Songkran. The luxury villa’s three bedrooms are each stylish and elegant, with tropically inspired accents. Each bedroom has a comfortable deluxe king-sized bed, as well as its own modern ensuite bathroom. Rich hardwood floors add to the overall style and elegance, while large windows allow for ample natural light and beautiful views. Chef service: THB1,500++/Meal or THB2,500++/Day for a max of 12 pax, extra person charged at THB600++/meal.  Chef shopping service: THB300 + 7% VAT or 20% minimum of purchase cost, whichever is greater.